The participants were welcomed by Félix Hernández at University Jaume I in Castellón, Spain. After a brief introduction about the university and the program, the training school began. 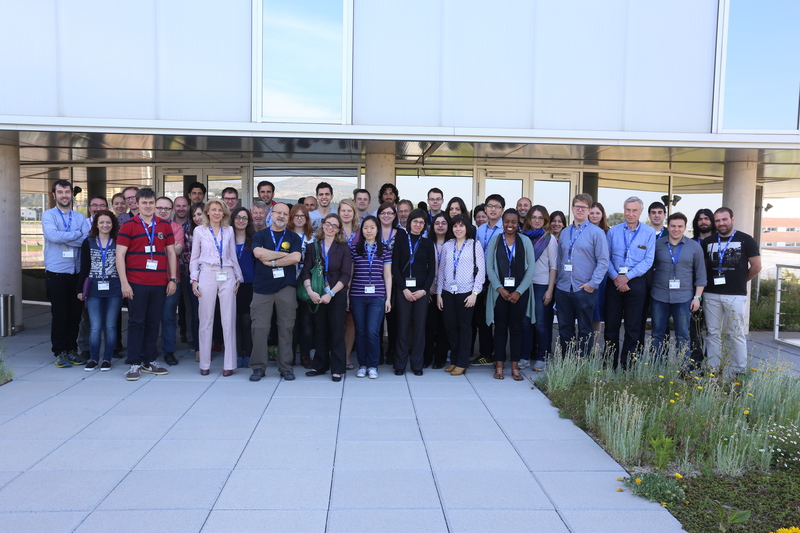 Day 1 was focussed on method validation with an emphasis on chromatography coupled to mass spectrometry and included 6 lectures and 2 group activities. Adrian Covaci (University of Antwerp) presented the validation of quantitative LC-MS/MS methods. Tania Portoles (University Jaume I) continued with the validation of qualitative methods, while Lubertus Bijlsma (University Jaume I) outlined the quantification, identification and confirmation of licit and illicit drugs in sewage analysis. Jose Benito Quintana (University of Santiago de Compostela) gave a lecture on the estimation of limits of quantification and detection in sewage analysis and Juan V. Sancho (University Jaume I) provided examples of GC (APCI)-MS (MS/MS QqQ, QTOF MS) in environmental analytical chemistry. Finally, Leon Barron (King’s College London) explained the use of retention time prediction as a tool to improve the quality of large screening. The afternoon sessions consisted of two group activities. Maria Ibáñez (University Jaume I) demonstrated how to treat HRMS data and Christoph Ruttkies (Leibniz Institute of Plant Biochemistry) on the use of MetFrag and MetFusion software in the identification process of suspect and non-target analyses. Day 2 was focussed on Quality Control and Quality Assurance. After the lectures, the current state and challenges in wastewater-based epidemiology discussed by a round table panel comprising John Ramsey (TICTAC), Kevin V. Thomas (Norwegian Institute for Water Research, NIVA), Juan V. Sancho (University Jaume I) and Sara Castiglioni (Mario Negri Institute). In the afternoon an additional special session on opportunities for EU funding and access to the job market was made, with various members of start-up companies within ESPAITEC giving their initial experiences of the job market. Finally, Gillian Overend (University of Bath) gave a brief insight into EU and international funding opportunities.